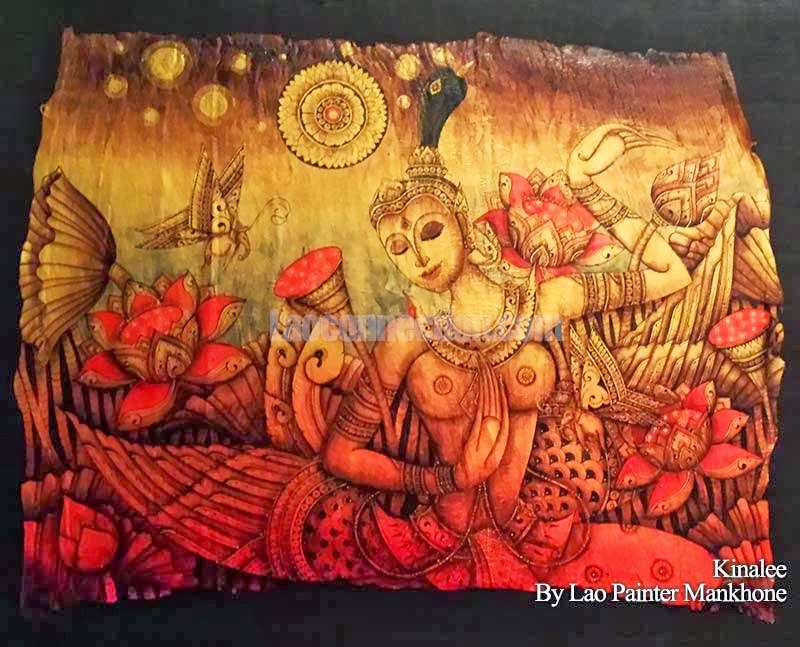 Mankhone is a young, Lao artist, based in his hometown of Luangprabang. He does these amazing paintings on sometimes large pieces or small tiles of tree bark or solid wood eggs. I saw them for the first time while visiting Luangprabang in December 2013. The bark yields a lovely texture in the final product that I absolutely love. The dark earth tones, the red, gold and black in his paintings are soothing. The attention to detail is exquisite. 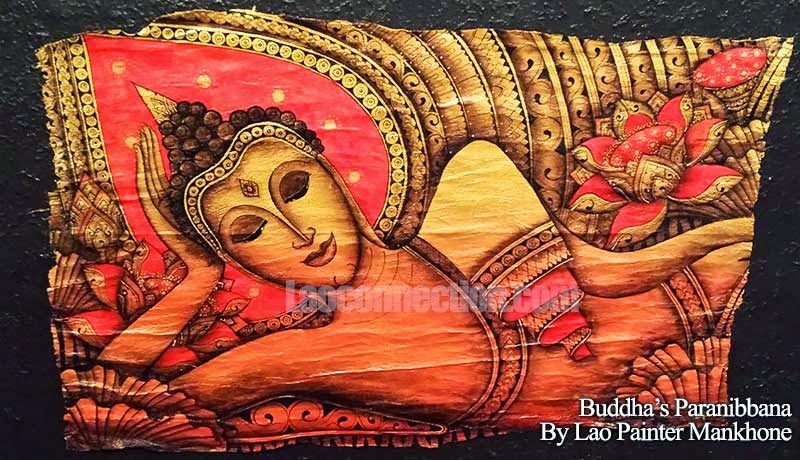 His work at the moment seems to be more religious based subjects such as images of the Buddha, lotus blossoms and even the mythological kinalee (half bird half human) is featured. Prices for his paintings are high but well worth it if you can afford it. 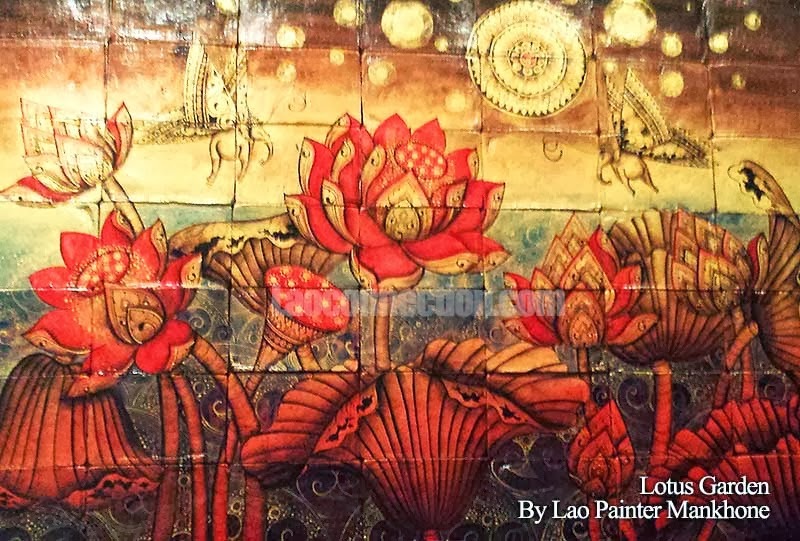 And they're for sale at Kop Noi Gallery in Luangprabang.